This sterling silver cast naja pendant has a 4mm or free form stone with cut designs on the side. This pendant measures approximately 1 1/4" long with bail and 1" wide at widest point. 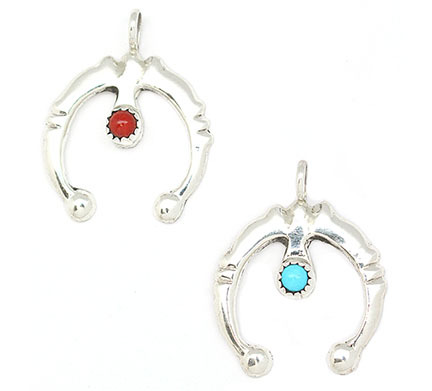 Native handcrafted by Navajo artist Pauline Armstrong. **Currently available in turquoise. *** None available in coral like pictured at this time.